in the bloody Hyperion Civil War. Now, under new command, the seaQuest sails again. 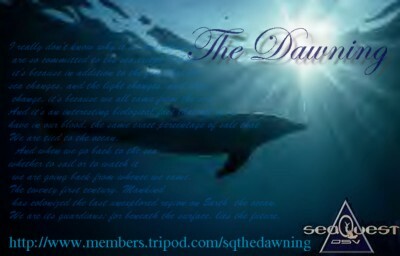 This is the Official Website for the seaQuest: The Dawning sim. Dawners! Get your free email @thedawning.zzn.com! Click on the link above!